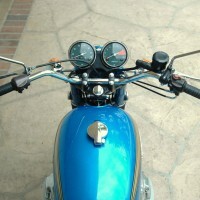 Restored 1985 BMW R80GS Motorcycle. This BMW was meticulously restored by its owner. The frame, swing arm and all of the brackets were sand blasted and powder coated. 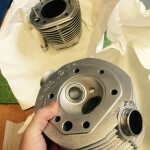 The aluminium parts (engine, forks, crown wheel and pinion) were vapour blasted or ultrasonically cleaned. The crown wheel and pinion was professionally rebuilt. 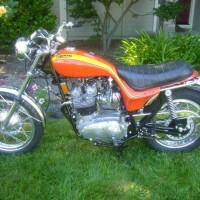 The carburettors were rebuilt with new diaphragms ‘O’ rings, seals and gaskets. All of the fittings and fixings were replaced with stainless steel. 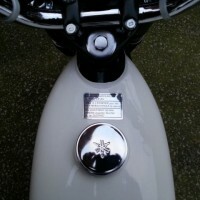 Any spacers or brackets were re-made in stainless steel. 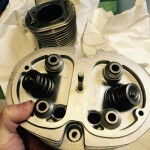 The engine was stripped, de-coked and reassembled with new rings, oil seals and gaskets. 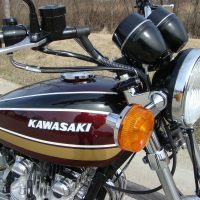 The bike was professionally repainted. 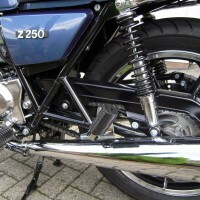 New footrests, grips and handlebars were fitted. 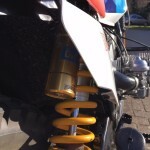 The rear suspension was uprated with an Ohlins unit. 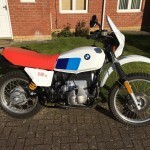 A really nice restored BMW R80GS Motorcycle. 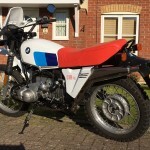 BMW R80GS – 1985 For Sale or Wanted? 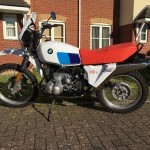 If you're looking for the perfect BMW R80GS – 1985 for sale then take a look at the hundreds of restored classic motorcycles listed on our extensive Motorcycles For Sale pages. 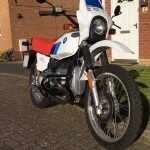 We regularly feature very nice restored BMW R80GS – 1985 bikes for sale. 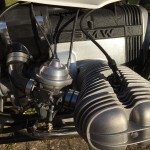 Spares and Parts for your BMW R80GS – 1985? 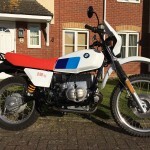 Workshop Manual for your BMW R80GS – 1985?